Usually we only mention injection moulding to contrast against the efficiency of 3D printing; injection is generally only more efficient for large batches. But today we’re highlighting a company that owes its success to distributing top of the line injection moulding machines, ARBURG. 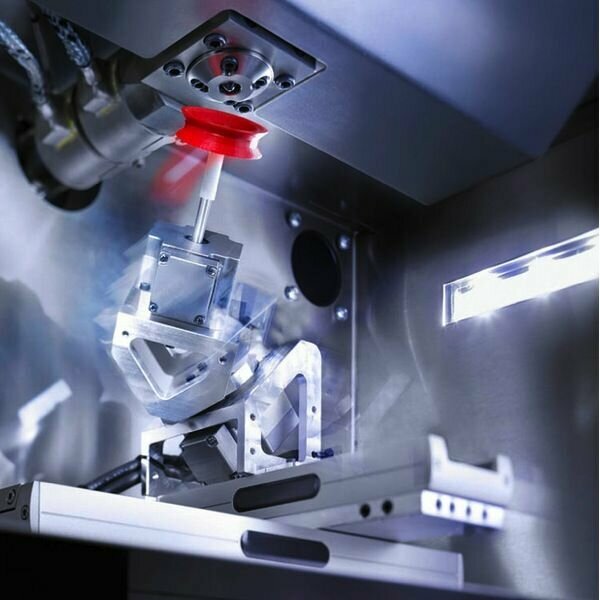 This German company is a global leader in the production space, also offering robotics. The robotics came in handy when the decision was made to create a 3D printer. 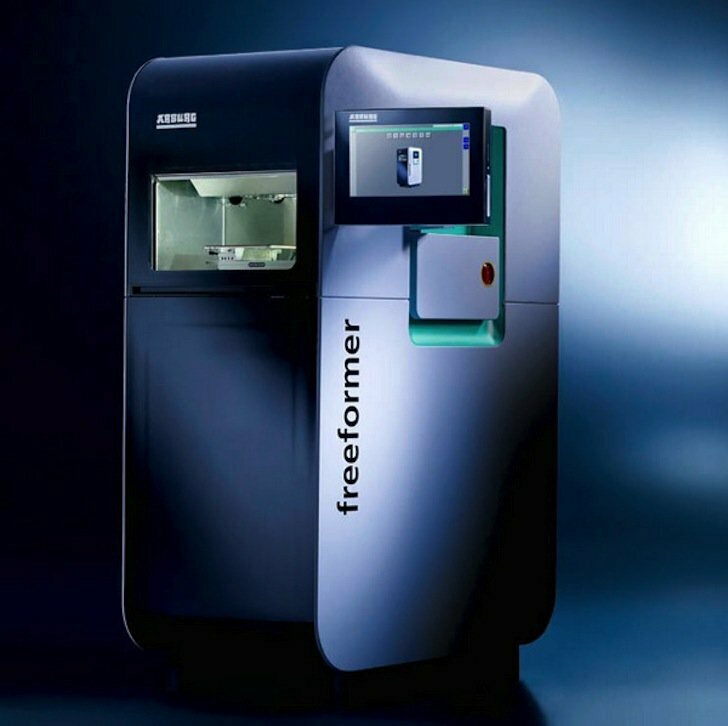 The freeformer uses ARBURG Plastic Freeforming (AKF), a patented method of extrusion that deposits droplets of plastic rather than a stream. The videos can’t be embedded here, but you should watch them on their site. Two features make the freeformer really stand out: the extrusion head is capable of 5-axis motion and standard plastic pellets are the consumable. Remember the research on the 6-axis printer? The ability to turn and rotate the nozzle widens the range of what can be printed and increases the quality of prints. The freeformer can print more complex geometries without the need for supports, which saves time and material. And when it comes to material usage, it’s especially efficient. As far as I know, the freeformer is the only commercial 3D printer that accepts plastic pellets directly. They’re the same pellets used for injection moulding, so manufacturers can keep their existing suppliers. Filament extruders are hitting the market because pellets are way cheaper than filament ($1/lb vs $15/lb), but the freeformer has one built in. That saves a lot of money. ARBURG may also be the first to sell a 5-axis printer, and the quality of the prints should compete with the best out there. And the freeformer can be equipped with two heads, allowing for two-color and two-material prints. Single objects can have soft and hard components. Plain ol’ linear fused filament fabrication will soon be outdated as 5- and 6-axis printers are further developed. Beyond printing overhangs and complex geometries without supports, such printers can also print onto irregular surfaces.